On January 24th, Spirit Music Group obtained all of the publishing rights to The Who’s immense catalog via the band’s chief songwriter, Pete Townshend. The catalog includes approximately 400 songs, which encompasses the entirety of Townshend’s writings over the last 50 some odd years. Although neither of the parties has disclosed how much the deal went down for officially, some industry insiders suspect that it may have exceeded $100 million. Townshend has expressed that he plans to utilize this money to fund “new works” rather than having to rely on tour revenue in the coming years. Some have speculated this may mean a revitalized look at his seemingly dormant rock opera, Floss, which he announced work on back in 2009. For Townshend, his new partnership with Spirit Music Group could mean a hefty addition to his income. As a relatively small publishing firm based out of New York, Spirit Music Group is known for their substantial catalog – which includes works from artists ranging from The Grateful Dead to Lou Reed – and their ability to successfully place songs. While Townshend has already found success in placing his songs on popular TV shows such as CSI and some various other commercials over the years, Spirit Music Group has even bigger plans for the catalog with hopes of getting far more than just “the big hits” placed. 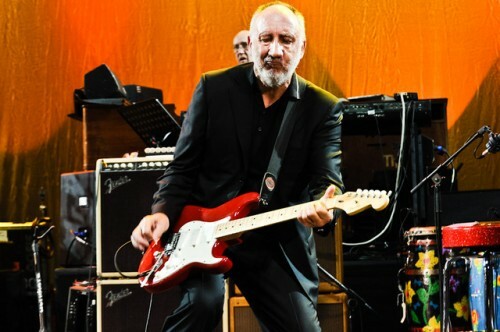 Also in the works for Townshend over the next year is a Quadrophenia tour, expected to kick off in early November, and the release of his highly anticipated memoir, tentatively entitled, Who He?